Announcing the Dr Pepper Dallas Cup XXXII Super Group | Dallas Cup, Inc.
Gordon Jago Executive Director and Randy Jones Tournament Director are pleased to reveal the teams that will compete in the Dr Pepper Dallas Cup XXXII Under 19 Super Group. In keeping with the high level of interest from top clubs and federations around the world, the Super Group will once again be at 16 teams (4 divisions of 4 teams) in 2011 representing eleven different countries. Tournament dates are April 17-24, 2011. 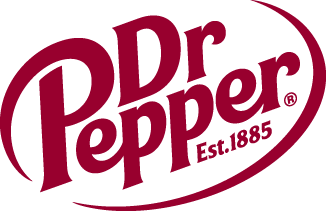 Dr Pepper Dallas Cup is the oldest international youth soccer tournament in the United States, celebrating its 32 year in 2011. Dallas Cup contains seven age groups from U19 to U13 level and entertains on average more than 160,000 spectators during the week. Since its inception in 1980, Dallas Cup has played host to teams and referees from over 45 states, 100 countries and 6 continents. If interested in sponsorship opportunities with “Dr Pepper Dallas Cup XXXII” or the “Dallas Is Diversity Program”please contact Executive Director Gordon Jago at the Dallas Cup office via phone at 214.221.3636 or via email (gordon@dallascup.com).